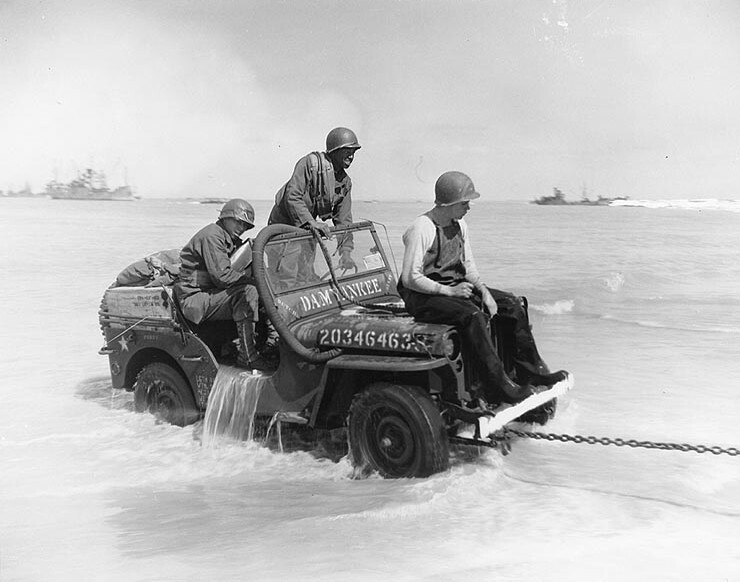 » An amphibious Jeep being towed ashore at Normandy, France, Jun 12, 1944. Note that censors have deleted markings on the Jeep's front bumper and an object at the right edge. The censors blanked out something on the bumper. What is it? The front bumper usually had the unit that the Jeep belonged to on it (battalion, regiment, etc.) so they probably censored that so the Germans wouldn't know what units were in Normandy.